The Platio Ecosystem will be based on a seamlessly operated mobile and web interface, where users will have all the necessary data and tools at their fingertips to instantly transact with crypto, fiat or stock.Platio’s platform will be built on EOS technology, capable of hosting smooth, routine interactions of Platio’s multilayered ecosystem. Its digital management solution will be built into this robust infrastructure, and will work with crypto, fiat and stocks. The absence of harmonized international regulatory frameworks for the sale and use of cryptocurrency has impeded its adoption and the growth of global markets in digital assets. Traditional banks are very selective in the services they provide for crypto users within their current banking systems. They have not embraced the digital coin era, or the way cryptocurrencies have evolved. Being fully compliant, regulated and technologically advanced, Platio solves this problems with easy access to the Platio Ecosystem, using tokenization of assets based on EOS technology, and supporting the three types of assets: crypto, fiat and stocks. Platio’s App will be available on iOS and Android, as well as a web-based application. 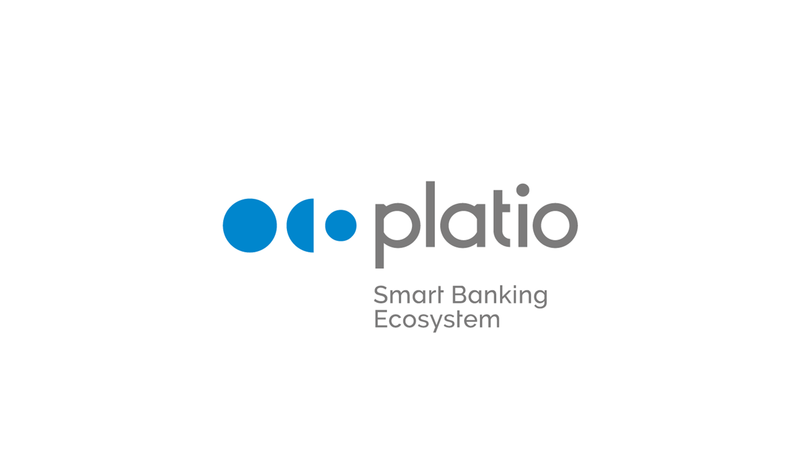 Platio Smart Banking Ecosystem will include various products and features that work together to provide users with a seamless transaction process. Platio will tailor its products to the needs of both individuals and businesses, ensuring that both enjoy improved accessibility to transacting in cryptocurrencies. In order to protect the value of their portfolios and realize profits on appreciated crypto-assets, users need ways to promptly exchange their crypto holdings to traditional assets, while allowing for the possibility of rapid conversions in the opposite direction. Within the Platio Ecosystem, users will be able to choose to promptly convert their crypto holdings into a traditional asset type available within Platio. Asset Guard will support two types of smart contracts: Auto Exchange and Standby Transfer.As the terms of the Asset Guard service are set in the interface, an appropriate smart contract is formed by the Platio App and synced with the Platio Blockchain. If certain pre-set conditions are met, the process launches immediately. 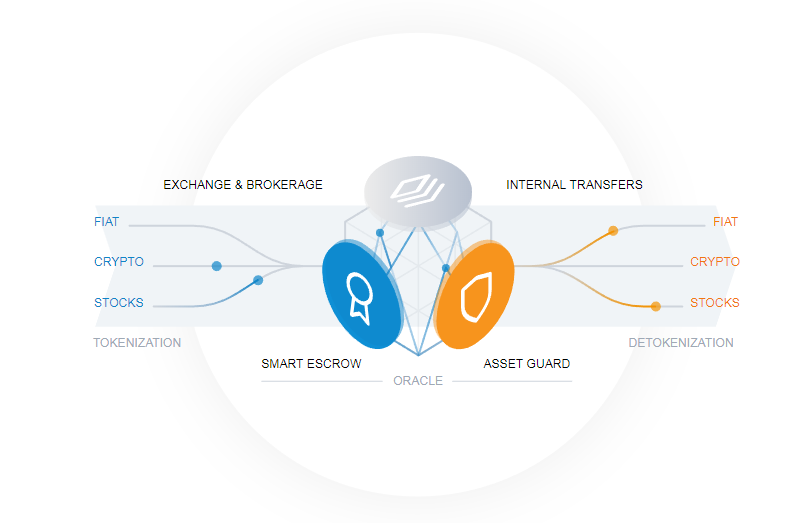 Using Asset Guard alleviates the need to constantly monitor the market or store your backup phrase so that authorized persons could gain access to your assets in case of an emergency. Platio will provide users with plastic and virtual payment cards issued by partnered international payment companies. It is inconvenient to keep a specific card for Bitcoin and another for Ethereum or for every other cryptocurrency asset. Platio intends to develop the Platio Ecosystem to allow all crypto assets held on the Platio Ecosystem to be easily converted into fiat currencies for transaction settlement using an integrated exchange. Users will only need to select the necessary asset and push the top-up button. Platio payment cards will support top-up both in cryptocurrency and fiat. Platform and Platio Blockchain. It will serve as the users’ gateway into the Platio Smart Banking Ecosystem. It will also be an interface for making deposits and withdrawals of accepted cryptocurrencies into and out of Platio accounts. Platio intends to build a private Sidechain based on EOS technology and a predefined set of smartcontracts. The blockchain project will be maintained and actively developed by Platio.